Wildeck® guarding products are tested, trusted, and tough. Proven in thousands of applications and facilities: they provide an effective, easy-to-see barrier that contributes to a safer and more efficient working environment. An extensive range of guarding products are available to protect expensive equipment, shield work areas, and help define traffic patterns for your most important asset . . . your people. 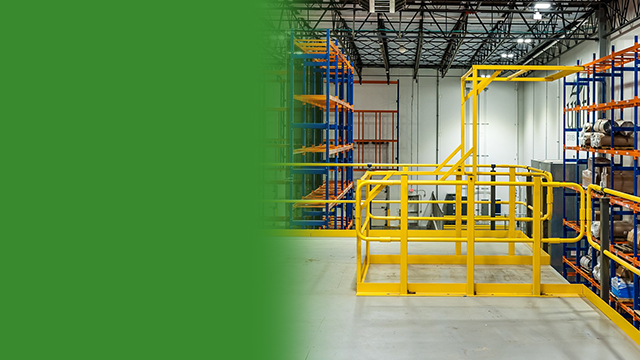 All Wildeck guarding products are constructed of high-strength steel; designed and fabricated to withstand severe impacts from lift trucks or other equipment. Get the protection you need. 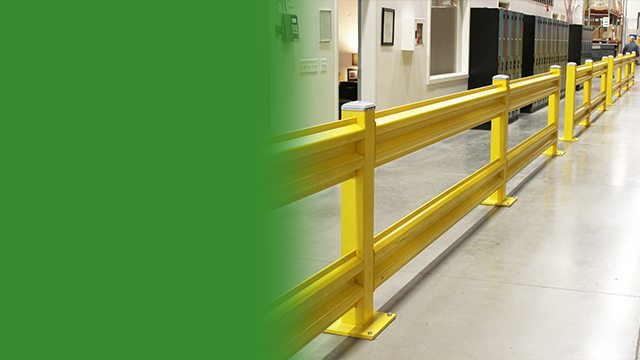 Wilgard® Guard Rail discourages careless behavior around equipment and it looks very professional. I’m glad we installed it at the same time as our mezzanine platform.